MiraDry is a new clinically proven treatment for excessive underarm sweating. 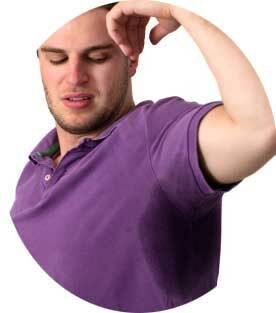 Excessive sweating can hinder your social and work life and therefore treatment to reduce it is common. Those who suffer with excessive sweating and do not want to opt for laser treatment can choose MiraDry to reduce excessive sweating or hyperhidrosis. MiraDry is a completely safe and FDA-cleared way to reduce Excessive Underarm Sweating. MiraDry – Excessive Sweating Treatment. MiraDry is one of the newest treatments available for excessive sweating and has successfully reduced excessive sweating in a number of people. It is available for use on the underarms. MiraDry is an outpatient procedure, is non-invasive and involves the use of electromagnetic energy. MiraDry works through the use of controlled and precise electromagnet energy on the underarm area and does not involve any incisions. MiraDry eliminates the underarm sweat glands which reduces the rate of excessive sweating. How many MiraDry treatments are required? Two one-hour MiraDry treatments are required to reduce excessive sweating and these should be carried out approximately three months apart. This will maximise the results and the length of which they last. What are the benefits of MiraDry procedure? A key benefit of MiraDry, which is not seen when using laser treatment for excessive sweating, is that it permanently reduces the number of active sweat glands. By making this permanent change, MiraDry is a long term solution for those who suffer from excessive sweating. Other treatments disable the sweat glands for a short period of time and require repeat treatments. MiraDry differs by providing a permanent solution. Who will perform the MiraDry treatment? As with all our treatments, MiraDry is performed by one of our qualified practitioners and supervised by Doctor Maria Gonzalez. What is the cost of MiraDry procedure? Exact prices to be confirmed during your medical consultation for your MiraDry – Excessive Sweating Treatment for Hyperhidrosis.